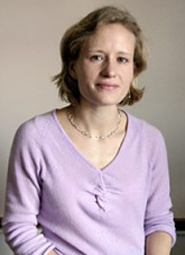 Erica Field is a Professor of Economics and Global Health at Duke University. Prior to joining the Department of Economics in 2005, she worked at The Institute for Quantitative Social Science as a Cohort X Robert Wood Johnson Scholar in Health Policy Research. Erica's primary fields of interest are development and labor economics, with a regional focus on Latin America. Her past research has examined the household welfare effects of urban land titling programs in developing countries, including the impact of tenure security on labor supply, credit access and fertility. Her current research examines the link between health investments and economic mobility.